For several years now, I've wanted to pay a little tribute to Lucy Maud Montgomery, one of my long-time favourite authors. And what better date than today, for it's Miss Montgomery's birthday. Born in Prince Edward Island, Canada, on November 30, 1874, she is undoubtedly one of Canada's most famous authors, and she is certainly most known for her creation of Anne of Green Gables, first published in 1908. I love the Anne books, but I have also enjoyed reading L.M.M. 's published journals and letters, and various biographies about her life and work. Over my lifetime she has been an inspiration to me in more ways than one. This collection has 16 seasonal short stories, most of them originally written by L.M.M. for publication in various magazines. Happily, two favourite chapters from the Anne novels are included: Matthew Insists on Puffed Sleeves (Anne of Green Gables) and Katherine Brooke Comes to Green Gables (Anne of Windy Poplars). I just read these two and enjoyed them all over again. Last year I was invited by the editor of FellowScript, a writer's magazine published by Canadian writer's organization InScribe, to write a short piece about the impact L.M. Montgomery had on my life growing up and beyond. The article was published in the August 2014 issue. Today I'm delighted to share that article with you as we mark the day and offer gratitude for the life of this gifted woman. She touched so many with her writings and outlook on life. And I'm so grateful for what she gave to our world ... and to me through her writings. In 1908, when Lucy Maud Montgomery published her first novel, she couldn’t possibly have known that nearly sixty years later, a nine-year-old girl would sit enraptured as she listened to her fourth grade teacher read it aloud to the class. She couldn’t possibly have known that as the story unfolded, seeds were being planted in this girl’s heart and mind. Indeed, how could she possibly know that I am that girl and that, after all these years, the story of Anne of Green Gables remains as fresh to me as it was the first time I heard it? Certainly, Miss Montgomery couldn’t know, but nonetheless that delightful story still resonates for me. And, not for me alone, as millions of readers world-wide are just as captivated; children and adults alike are drawn to Anne spelled with an ‘e’. Even Mark Twain called her “the dearest, most lovable child in fiction since the immortal Alice (in Wonderland)”. 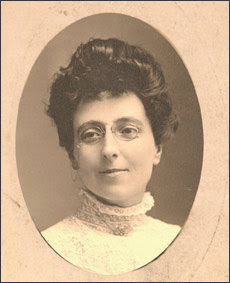 Lucy Maud Montgomery (affectionately known to me as LMM) lived in an era quite different to the times we live in today. But the themes of her writing have proved to be timeless. They are full of the details of life that transcend time and space: love, faith, family, relationships, career, health, and the desire to find happiness. The life experiences that shaped her writing career are familiar to us as readers, and her stories resound again and again as each new generation discovers them. Anne lives on, never grows old, and never ceases to be an inspiration. She has become a voice, giving sound to thoughts and yearnings of the heart that might otherwise remain silent. As a nine-year-old, I was truly captivated by this red-haired, imaginative girl. Like Anne, I longed for a bosom friend. I, too, wanted interesting adventures. The vivid descriptions of cherry orchards and lakes of shining waters fueled my own imagination, and I longed to be transported from my little prairie farm in Alberta to the sea and red dirt of Prince Edward Island. As I grew and matured into a young woman, the kinship I felt with Anne also progressed. I became curious about Anne’s creator, and began to read everything I could put my hands on that was written by her and about her. Envision my delight to discover LMM and I shared common life experiences such as growing up in small agricultural communities where church life was the centre of spiritual and social activity, working as young career girls, and then marrying later in life. These served to deepen my affinity both with Anne and LMM. But more than the common experiences, I found the themes in her life and writings began to provide me with answers and insights to the issues and concerns of my own young heart. So often I would find in her writings the same things I’d been pondering about. She taught me to appreciate the joy and beauty of my world, regardless of happy or unhappy circumstances. And, how can I ever forget the way God brought me through a time of inner healing by using her stories to reveal the wound in my heart. Now as a mature woman, a writer by choice, I look back to my younger self, and I’m so grateful for LMM’s influence and her faithfulness to her calling to write. Whether I’m pursuing the art of letter-writing inspired by reading her own published correspondence, or I’m writing articles or working on a memoir, there she is … a mentor from afar. I remember sitting, pen and paper in hand, trying to capture something of the twilight beauty of a long ago summer evening, and becoming aware that I wanted to write, and that I wanted to write just like Lucy Maud Montgomery. She changed my life. What a lovely tribute, Brenda! I know little about her life, however, you have piqued my interest! I hope to spend some time in her journals over Christmas break! As a contemporary of Alcott (albeit a few years younger), it is interesting to me that they share similarities in their view of a "woman's sphere." As you know, I am devoted to Alcott and her works; I have read everything she wrote ( which is copious! ), all the biographies, literary analyzes, and journals. There is something about immersing one's self in these remarkable lives that inspires and enriches ours, don't you agree? Another American author you might enjoy is Eliza Calvert Hall (Obenchain). She was a Kentucky feminist / writer. 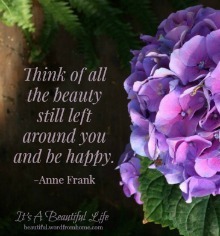 Beautiful post... My first visit ere( I landed next to you on MM linkup) and how lucky for me! My grandmother wasn't a gift giver , but she gave me Anne of Green Gables when I was ten....and I hit the library for the rest of the series. Always a favorite ... I was so pleased to read your article and the whole post. First off, thanks so much for coming by and leaving a sweet comment. You have a beautiful blog...very pretty. This is such a nice way in getting started on the Christmas season. I hope you will come by to see me often. I am linking to follow you. Like LMM, I'm a book-drunkard as well. Did you see the tribute to LMM on Google today (here in Canada, at least). I've loved seeing the various scenes played out. Visiting PEI and Anne's haunts last June was a highlight for me; something I've dreamed of for a long time. LMM has been a positive influence in my life as well, and you have written so eloquently about her impact upon yours. 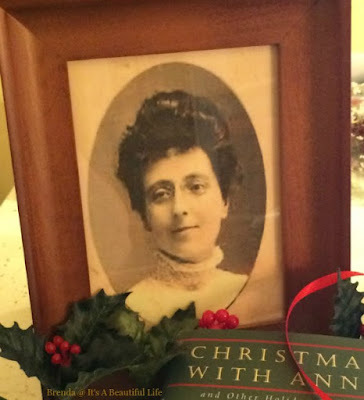 I do love reading the Christmas chapters from various books, including the Anne books and the Little House books. Thank you for sharing your thoughts and heart, Brenda. I have read all her books and have enjoyed them so very much. I dream of visiting Prince Edward Island someday! And I do like this quote, “Kindred spirits are not so scarce as I used to think. It's splendid to find out there are so many of them in the world.” I have found this to be very true!! Thank you for the reminder! Have a grand week! Your post is an admirable tribute to LMM Brenda and although I didn't read any of her books until later in life, they still enamoured me with her stories and 'kindred spirits'. (a term I like to use myself for friends that are so alike to one's self) I enjoyed visiting the house on PEI and was happy to see the garden consisted of vegetables grown to the time period of the book. So let me confess here, as you were reading about Anne in your childhood I was absorbing every Nancy Drew book I could get my hands on and to this day still prefer a good mystery to anything else. Hi Brenda, thanks for dropping by the Garden Spot. 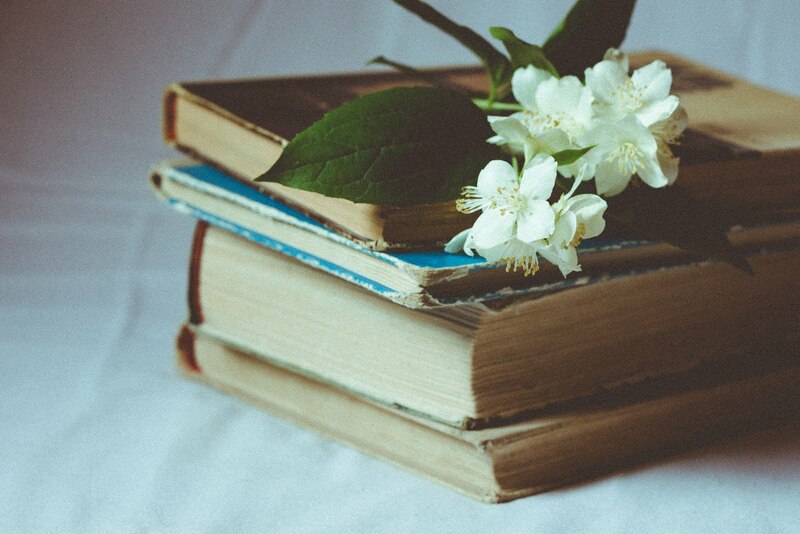 You have written so beautifully about wonderful books. Some of my best childhood memories are the books that I so enjoyed as a kid with a TV or any other technology for that matter. My oven, by the way, is a Kitchen Aid. Love it and hate getting it soiled. lol. I also have learned through the years that there are more kindred spirits than I first thought, Right now I'm reading the Emily Series and I told my youngest daughter on the weekend that I thought I was sort of an 'Anne' but now I'm finding out I'm more Emily than Anne! 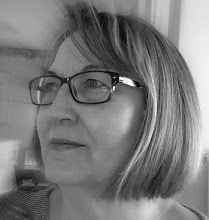 Really enjoyed your post as will all kindred spirits. I read Little Women a while ago and I don't recall seeing the 'kindred spirit' phrase either but maybe I missed it! The only place I'm thinking maybe Jo said it was when she was begging her sisters to let Laurie be part of their plays because he seems to be(did she use the words a kindred spirit?) I'll check it out sometime. 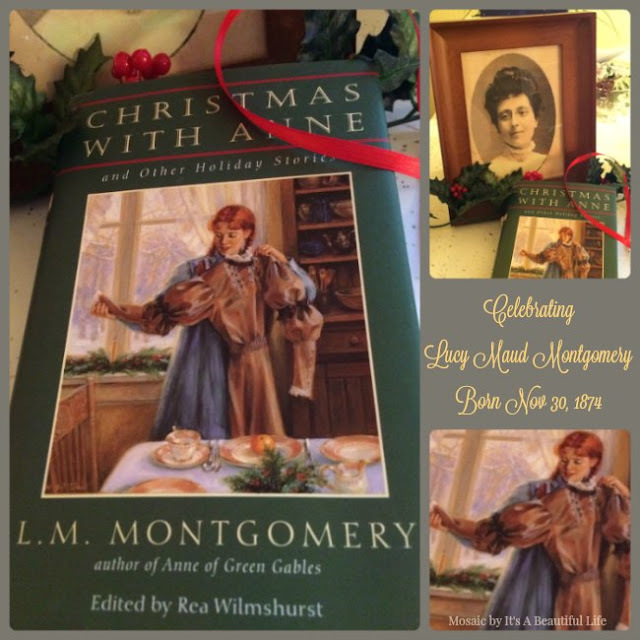 Indeed LMM created one of the best-loved characters when she shared Anne with us! Anne is often quoted in our house. A wonderful tribute to an amazing author who brought so much joy to so many girls and women! What a lovely tribute to a favourite author, Brenda! She has kept this Island girl spell-bound for many years; yes, since I too was a little girl. I love her stories and often read them over and over. The nice thing about living here on the Island is that I get to enjoy LMM's haunts and her books are in pretty much every store here. Because we moved around so much when I was growing up, I yearned for a kindred spirit myself. Unfortunately, I never really met one until I was a young mom. She and I were like two peas in a pod and we had so much in common that we were more like sisters than friends. Sadly, she passed on from breast cancer many years ago now. But I take comfort in knowing that there are other kindred spirits out there. Wonderful post, my friend! What a beautiful post, Brenda! I read LMM's books when I was in my early teens. In addition to Anne of Green Gables, I also enjoyed the Emily of New Moon series. Visiting PEI and Green Gables is on my bucket list. I LOVE this post!!! It has truly made my Friday. Thank you so much, Brenda! Vee, I'm so glad you found it now. I would enjoy reading your own experiences with LMM and her writing.